*Pictured holder not available from ProSciTech. Easy-open, space-saving, convenient, autoclavable. Sterilisation indicator patch darkens when subjected to autoclave heat. These bags have one long flap for ease of opening. 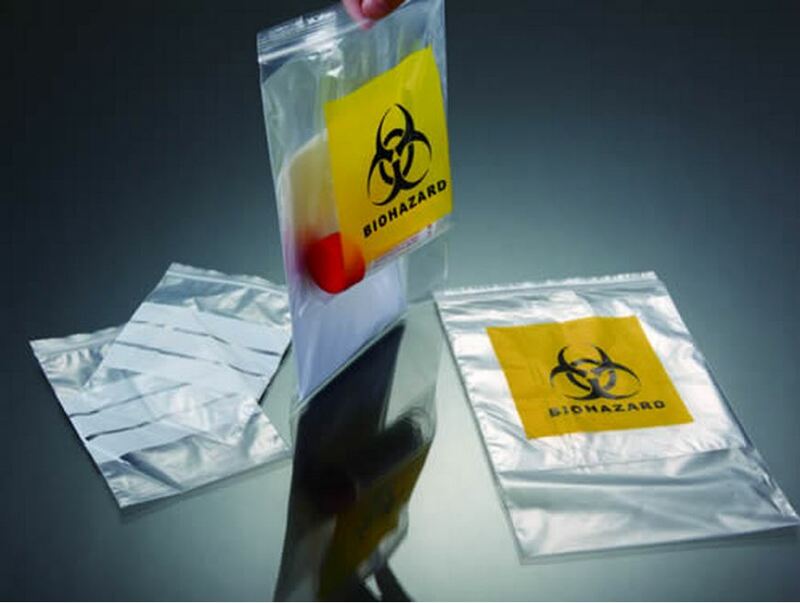 The bright red bags are made of high molecular weight, high-density polyethylene, printed with the biohazard symbol. They may be used as waste pickup bags by turning inside out and placing the hand inside to pick up waste. The bag is then closed with sterilisation indicator on the outside. Pictured holder not available from ProSciTech. 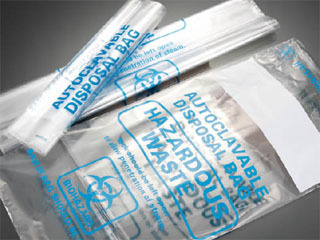 High density polypropylene bags. 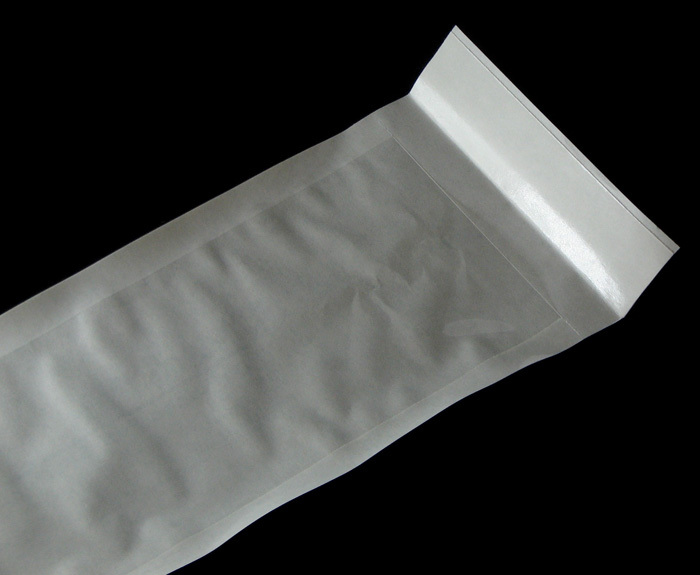 0.03mm thick, these bags can be used as a strong plastic storage bag. However, they can be steam (or gas) autoclaved and tolerate the high temperature - to 132°C! 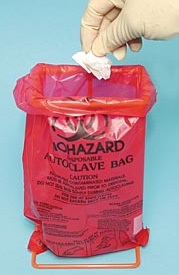 If used for autoclaving the neck should not be tied tightly, to allow steam-pressure to enter the bags. Use autoclave tape to indicate processing. Medi-Plus® pre-folded self-seal pouches with process indicators for steam and gas. Excellent quality and opening characteristics due to high grade film and paper used in production. The patented pre-fold eliminates improperly sealed pouches by assuring consistent, safe, and accurate sealing placement. No heat sealer needed. Process indicators for steam or gas are printed on both the back and front of the pouches for ease in separating processed from unprocessed instruments. Several sizes covering all needs.